I’m currently using store-bought food for my baby. What makes homemade baby food so much better? Store bought baby food, including the organic brands, has a shelf life of about 2 years! In order to achieve this shelf life, the food needs to be sterilized. While necessary for shelf life this process kills vitamins, nutrients, taste, color, and aroma. Homemade baby food is higher in nutrients, tastes much better than store bought and has an enticing aroma that will make your baby excited about eating. 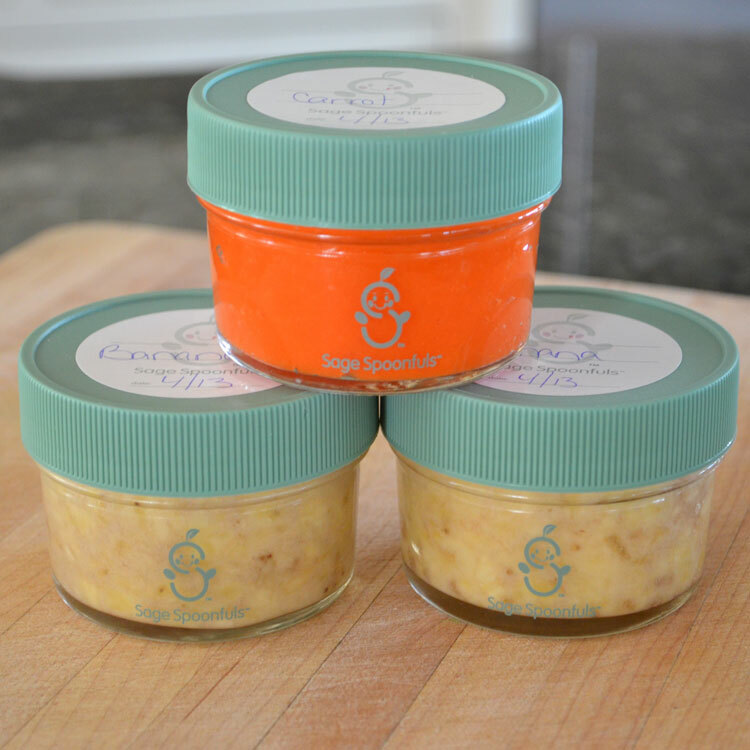 With homemade baby food, you have control over the ingredients and you know exactly what your baby is eating. Feeding your baby homemade baby food will also help prevent picky eating as your baby grows into a toddler. Is homemade baby food more expensive than store bought? Homemade baby food is much less expensive than store bought. It is roughly 3x less expensive. For example, a large butternut squash yields about 24-26oz of baby food for only about $3.50! Additionally, you don't have the waste from half eaten jars like you do with store bought. I don't cook. Is baby food hard to make? You definitely don't need to be a chef in order to make homemade baby food. It is much easier than you would think. In fact, there are many no cook purees that can be whipped up in seconds! Our award winning book, Sage Spoonfuls-Simple Recipes, Healthy Meals, Happy Babies, explains everything you need to know on how to easily prepare baby food for your baby. Our recipes are mostly single whole foods mixed with other single whole foods to make endless yummy combinations. Why are the glass jars only marked to 2 oz when it says they are 4 oz on the box? Both our glass and BPA free jars have a 4 oz capacity. The machines that decorate the jars cannot go beyond where the lip of the jar falls so the BPA free jars are marked to 3 oz due to where the lip of the jar is and the glass jars are marked to 2 oz due to where the lip of the jar is. They are measurement markings for reference, not max fill lines. Why didn't you respond to my email? We respond to every email we receive within 48 hours, usually sooner. If you sent us an email and did not hear back, please check your spam/junk folder. Unfortunately, sometimes our emails go into spam folders, especially those with gmail accounts. Does the Sage Baby Puree & Blend also steam food? The Sage Baby Puree & Blend does not have a steamer. At Sage Spoonfuls, we do not recommend cooking food for babies in plastic and do not offer a plastic baby food steamer. We feel it is a much better choice to cook food for your baby in stainless steel pots. 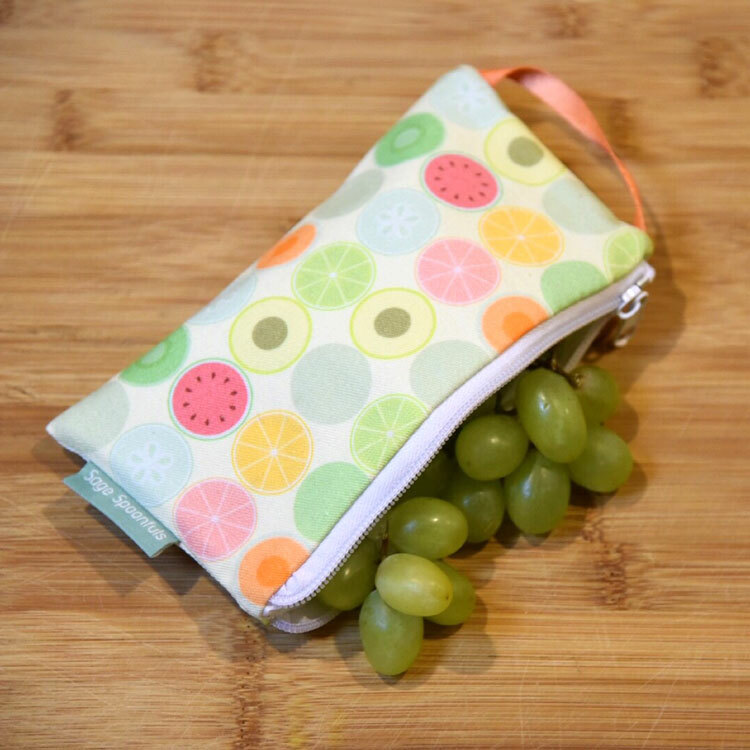 Additionally, plastic baby food steamers don't save much time, because you still need to wash, peel and chop your produce before cooking. You are also limited to only steaming food with those machines. We do not feel steaming meat, poultry or beans is the best way to cook these foods. The best way to save time and money on homemade baby food is to cook in bulk once or twice a month. 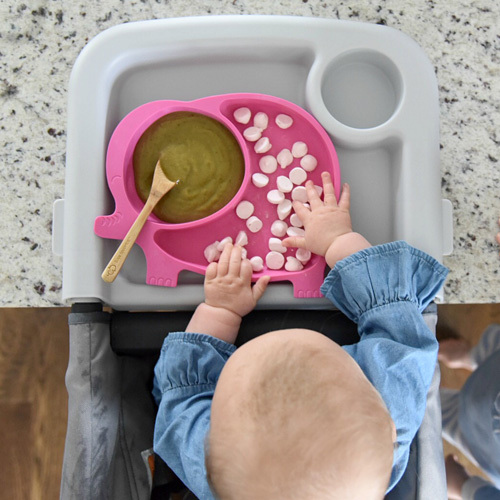 With Sage Spoonfuls, you can prepare over 2 weeks of baby food in under 1 hour! One of my Sage Spoonfuls jars fell and broke. Can I get a replacement? You can purchase replacement jars and lids from us here. Click on "shop" and you will find the replacement jars and lids on the last page. What is the proper way to use my Sage Baby Puree & Blend? 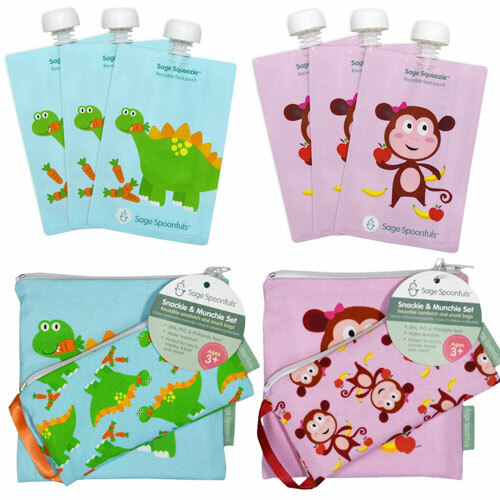 When used correctly, your Sage Baby Puree & Blend will last for years and years. Both the food processing attachment and immersion blender are best when used with a pulsing motion. Please do not hold the power button down for more than 15-30 seconds continuously while blending. Doing this can overheat the motor and cause it to not function properly. Use the immersion blender for cooked/soft fruits, cooked veggies and fish. Do not use it for raw veggies, uncooked grains and beans, meat, poultry, potatoes, cooked beans or any other food that is thick and pasty. This can jam the motor. Use the food processor attachment for meat, poultry, fish, grinding oatmeal, cooked beans, cooked grains, veggies and fruits. Do not try to grind hard grains like barley. Do not place the hand motor into the dishwasher and keep it away from water. Wipe it down with a moist cloth to clean when needed. Hand wash the immersion blending rod and food processor top. The food processor bowl and blade are dishwasher safe (top rack). What is the best way to defrost my frozen homemade baby food? Run the jar under warm water for a few minutes. Run the jar under warm water for 10 seconds to release the puree from the jar and then place it into a microwave safe dish and defrost in the microwave. *Do not place frozen jars into your microwave to defrost. Always make sure the jars are fully defrosted before placing into the microwave. Only microwave at 50% power for 15-30 seconds. Do not microwave on high. Are Sage Spoonfuls jars microwave safe? Both our glass jars and our BPA free jars are microwave safe without the lids. Do not place a frozen jar into the microwave, make sure it is fully defrosted first. When heating the food directly in the jar in the microwave, be sure to use only a medium heat (medium power) no longer than 30 seconds. How do I heat my baby food directly in the jar? There are a few ways to warm your homemade baby food directly in the jar. Food must be fully defrosted before warming in the jar: 1) Run it under hot water for about 1 minute, 2) Remove the lid and place the jar into a bowl of hot water for about 3 minutes, 3) Remove the lid and place jar into your bottle warmer (on a low or medium temp setting only) for 1-2 minutes, 4) Remove the lid and warm jar in the microwave on medium power for no more than 30 seconds, 5) Remove food from the jar and warm it in a small saucepan on your stovetop over medium heat, stirring frequently. *Do not place jars into the oven, boiling water, microwave on high or bottle warmer on high heat. Do not use glass jars in steam warmers. Freezing baby food in our jars (BPA free or glass) is easy, just follow these guidelines: 1) Do not place a jar of hot food directly into the freezer, put it in the fridge to cool down for about 30 mins first and then put into the freezer. 2) Always leave a little room at the top of the jar for the food to expand.